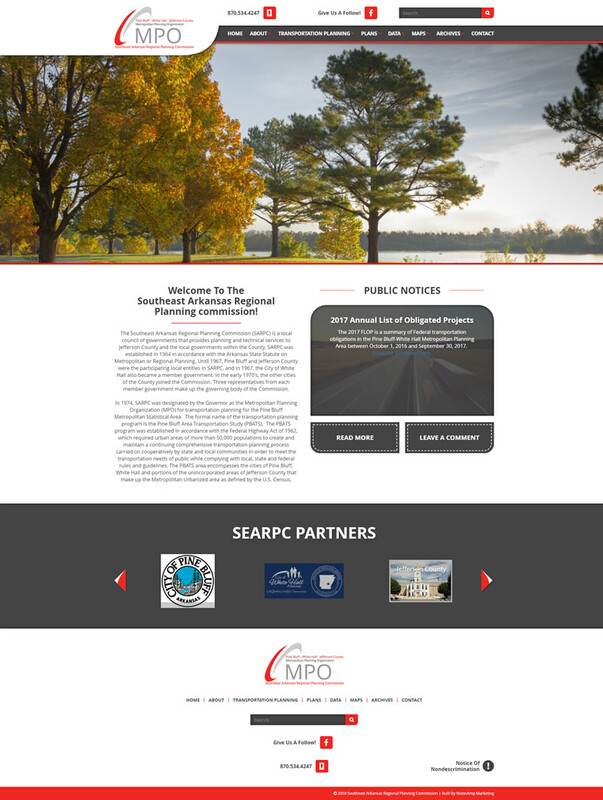 VisionAmp worked with the Southeast Arkansas Regional Planning Commission to give their site a new and improved look. The site was updated with a color scheme to coincide with the commission’s logo colors. The responsive and mobile-friendly site also has a clean top navigation menu to help visitors to the site locate the information they need in a quick and easy manner. We also added beautiful large images to the homepage to create a more inviting look. 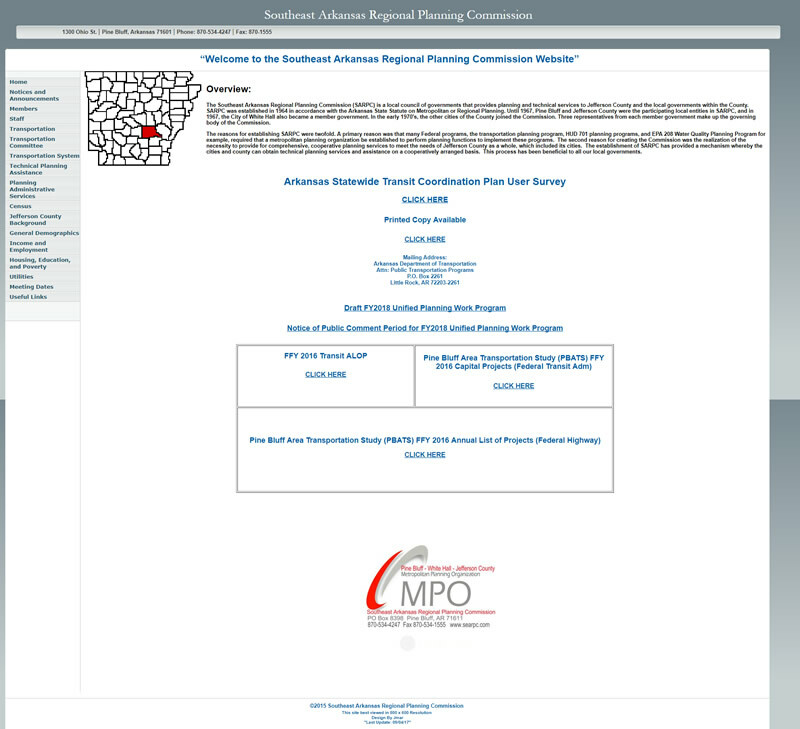 Established in 1964, the Southeast Arkansas Regional Planning Commission (SARPC) is a local council of governments that provides planning and technical services to Jefferson County and the local governments within the county in the state of Arkansas.